Owning and Controling Your Life. 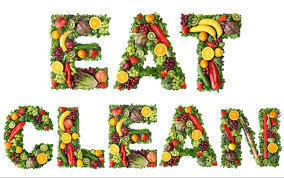 Adopting a clean healthy eating plan is the only way to truly gain control of your life and to create a total health transformation. Diabetes, Obesity, Heart Disease, Autism, Digestive disorders, Fatigue, Depression, Hormone imbalance, Alzheimers', MS, lupus, and to prevent cancer. Besides arresting MS, a low-fat vegetarian diet promotes weight loss in the obese, relieves constipation, and cuts the food bill by 40 percent. In fact, this type of diet is in line with recommendations made by other health organizations (including the American Cancer Society, the American Heart Association, and the Surgeon General’s office) that urge Americans to eat less fat, meat, and dairy products, while adding more whole grains, vegetables, and fruits. oil, eggs, or dairy products. bean burritos, chili, and stir-“fried” vegetables for dinner. I’ve been very gratified by the results of this dietary treatment, not only because the progress of most of my MS patients’ disease has been halted, but also because their overall health has unquestionably improved. And everyone knows that MS sufferers need every bit of help they can get. Most health professionals dismiss the idea that multiple sclerosis (MS), a degenerative disease of the nervous system, and other chronic diseases might be linked to diet. It seems ridiculous to them that such mysterious and horrible, life threatening diseases may be the effect of food. Too simple. Rather than looking to the kitchen for answers, the ‘medical Establishment’ expects a cure to come from high-tech research that will pinpoint some culprit — a virus, perhaps, or a glitch in the immune system. Multiple sclerosis is the most common degenerative inflammatory neurological disease in the U.S., striking people primarily between the ages of 15 and 55. It is characterized by numerous lesions—areas of damage—on the nerve cells of the brain and/or spinal cord. The lesions are replaced by hard scar tissue, causing the nerve cells to stop functioning. The nearly 500,000 Americans with MS suffer recurrent attacks on the nervous system that rob them of various functions and senses. One attack may take a victim’s vision; the next may cause loss of bladder control; a few months later, one arm or leg may no longer have strength. After ten years with the disease, half of all MS victims are severely disabled—bedridden, wheelchair-bound, or worse. Multiple sclerosis like all of the chronic diseases and the other auto-immune disorders, is common in Canada, the U.S., and Northern Europe, yet rare in Africa and Asia. When people migrate from a country where chronic disease is rare or unknown – and (inevitably change the way they live and eat), their risk for getting a disease increases. Many studies have investigated the environmental factors that account for the difference in disease occurrence among various populations. The main factor appears to be the strongest contact we have with our environment: our daily food intake. Although wealthy countries generally have higher rates of autoimmune disorders and the common chronic diseases, while less affluent countries have lower ones, there is really only one exception: Japan. Even though the Japanese live in a modern, industrialized country with all the stress, pollution, and smoking habits common to other industrialized nations, their rice-based diet is more characteristic of the foods consumed in poorer nations where disease is less common. Of course, all aspects of a diet filled with rich foods can cause problems, but animal fats—especially those from dairy products— have been the most closely linked to the development of Multiple Sclerosis . One theory suggests that feeding cow’s milk to infants lays the foundation for nervous system injury later in life. Cow’s milk has only one-fifth as much linoleic acid (an essential fatty acid) as human breast milk. Linoleic acid makes up the building blocks for nervous tissues. It may be that children raised on a high animal-fat diet deficient in linoleic acid (as most children are in our society) develop a weaker nervous system that is susceptible to problems as they age. Analysis of brain tissues has shown that people with MS have a higher saturated fat content in their brains than people without the disease. One theory holds that the MS attacks are caused by a decreased supply of blood to the sensitive brain tissues. Dietary fat can have this effect. It enters the bloodstream and coats the blood cells. As a result, the cells stick together, forming clumps that slow the flow of blood to vital tissues. The blood does not form clots (as in the case of strokes), but in many blood vessels the clumping becomes so severe that the flow of blood stops and the overall oxygen content of the blood falls. Tissues deprived of blood and oxygen for long periods of time will die. Could something this simple be a factor in MS? As an example, let’s take a look at the health of people on a fat-restricted diet. During World War II, food was scarce and stress was high in occupied Western Europe. People could no longer afford to eat meat, so they turned instead to the grains and vegetables that once nourished their cows, chickens, and pigs. The result was a dramatic reduction in the intake of animal products and of total fat in the diet. Doctors observed that patients with MS had 2 to 2½ times fewer hospitalizations during the war years. Roy Swank, M.D., former head of University of Oregon’s neurology department and now a practicing physician at Oregon Health Sciences University, observed that MS patients improved on this forced low-fat diet. In the 1950s, Swank began treating his own patients with such a diet. Patients fared better if they had detected the disease early and had had few attacks, but even long-time MS sufferers experienced a slowdown of the disease’s progression. Originally Swank was most concerned with limiting saturated fat, but over the years he has become more attuned to the dangers of all kinds of fat. His MS diet is now about 20 percent fat by calories. 1. The earlier an MS patient adopted a low-fat diet, the better the chance of avoiding deterioration and death from the disease. 3. Among patients whose saturated fat intake was 17 grams or less daily, the death rate over a 35-year-period was 31 percent—close to normal. The death rate was 21 percent for the patients who kept to that low level of fat consumption and who started the diet within three years of diagnosis of the disease. On the other hand, patients consuming more than 25 grams of saturated fat daily had a death rate of 79 percent over the period of the study; nearly half of those deaths were directly due to MS. The findings are clear. To arrest MS, the diet must be as low in saturated fat as possible, approximately 6 percent of total calories. That translates into a low-fat vegetarian diet: one of starches, vegetables, and fruits—delicious foods containing only 5 to 10 percent total fat. If you skip eggs, dairy products, and tropical oils such as coconut or palm kernel oil, you eat virtually no saturated fat.